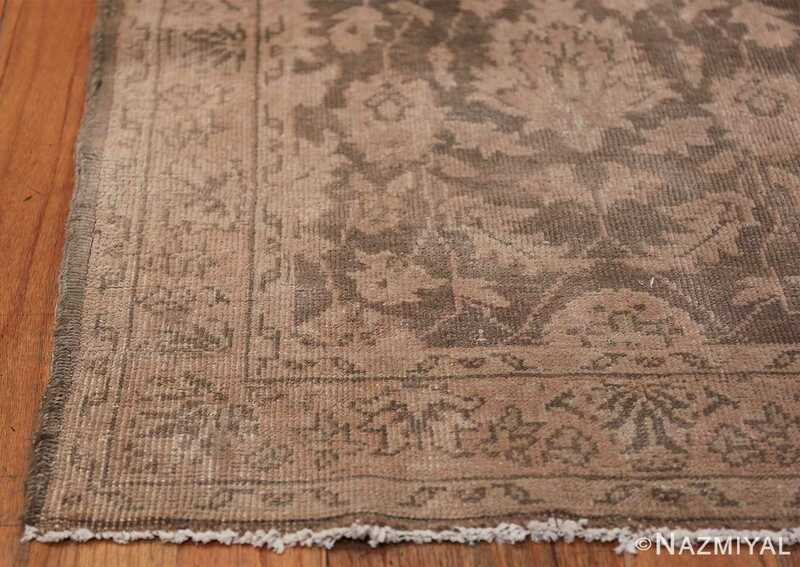 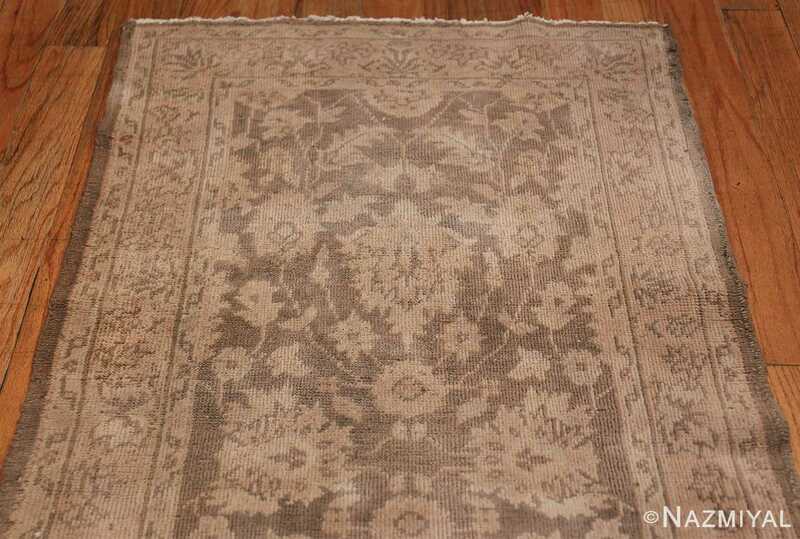 Beautiful Long and Narrow Vintage Turkish Sivas Runner, Country of Origin / Rug Type: Turkish Rug, Circa Date: 1940 – The earthy grey of this beautiful long and narrow vintage Turkish Sivas rug will complement any long hallway that uses a natural soft color pallet. 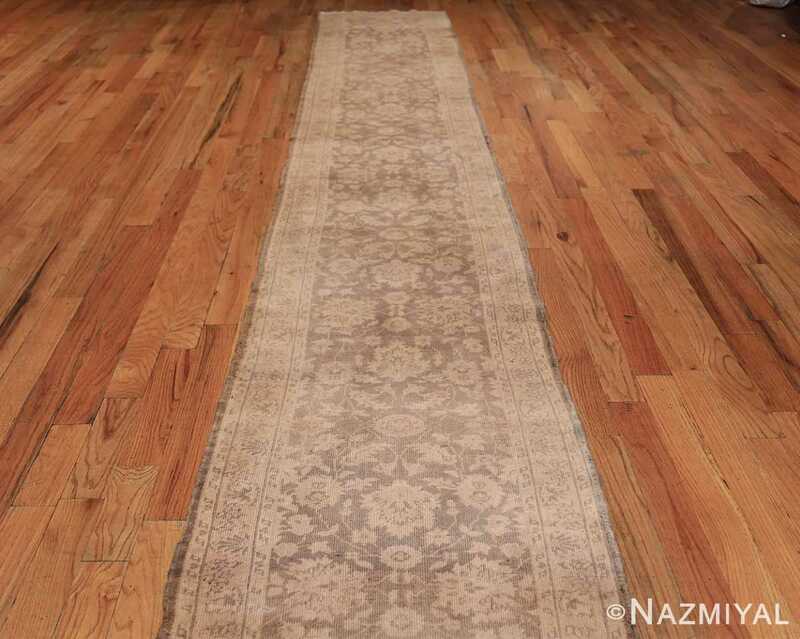 Of course, it would easily grace a long hallway, but it could also serve as a central pathway through a room, or against a wall supporting fine pieces of furniture and artwork. 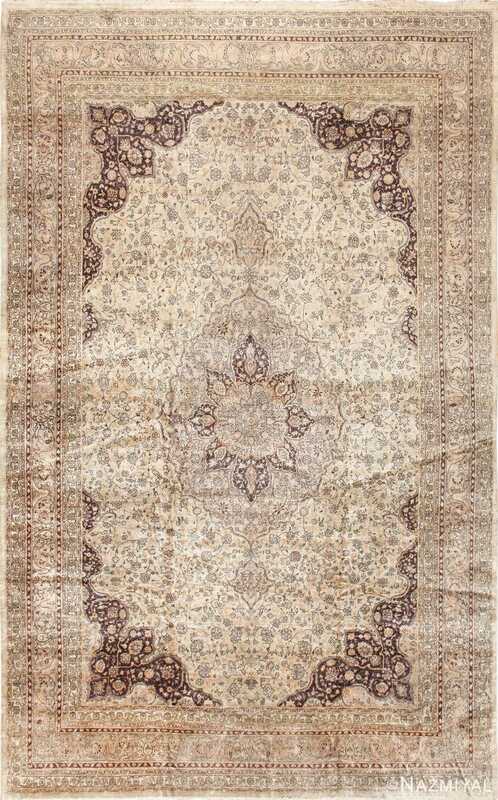 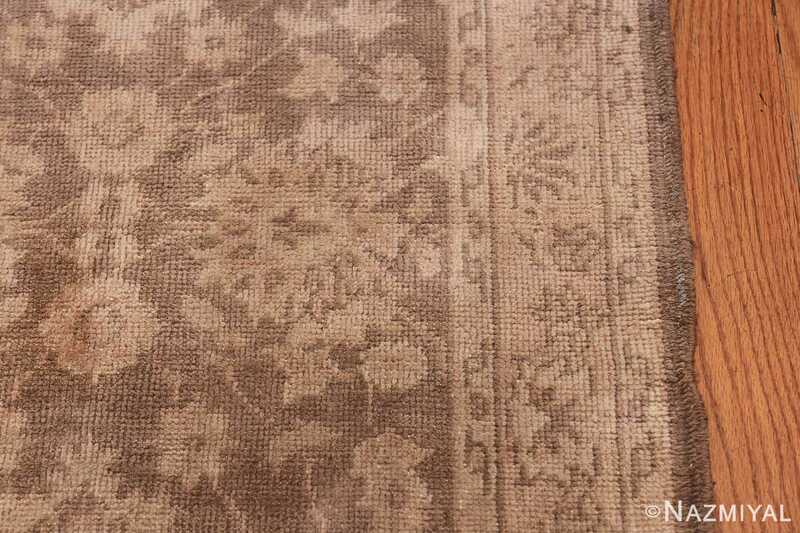 The soft grey color palette of the Turkish rug is tone on tone, using shades from mocha to beige to create large leafy floral motifs that span the length of the runner rug. 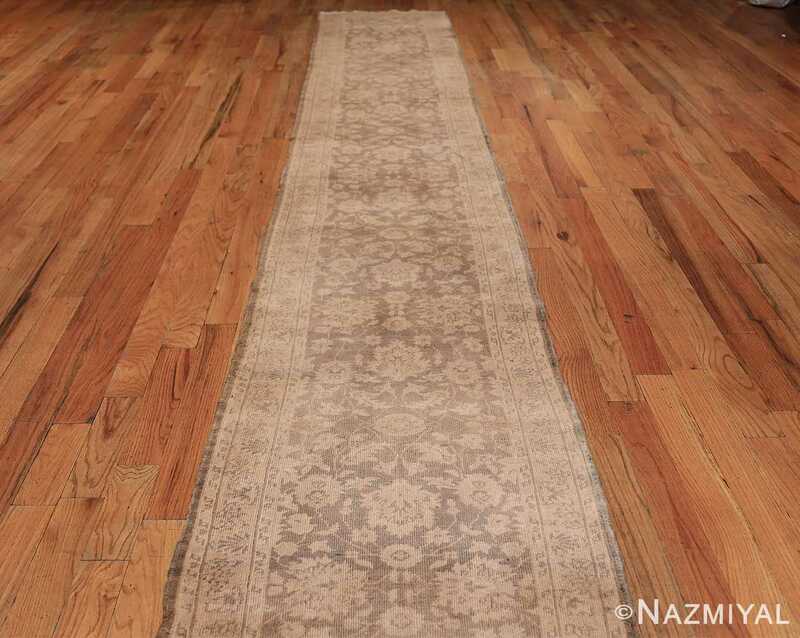 This long vintage carpet has vertical symmetry and a repeating pattern that runs the length of this beautiful vintage Turkish Sivas Runner. 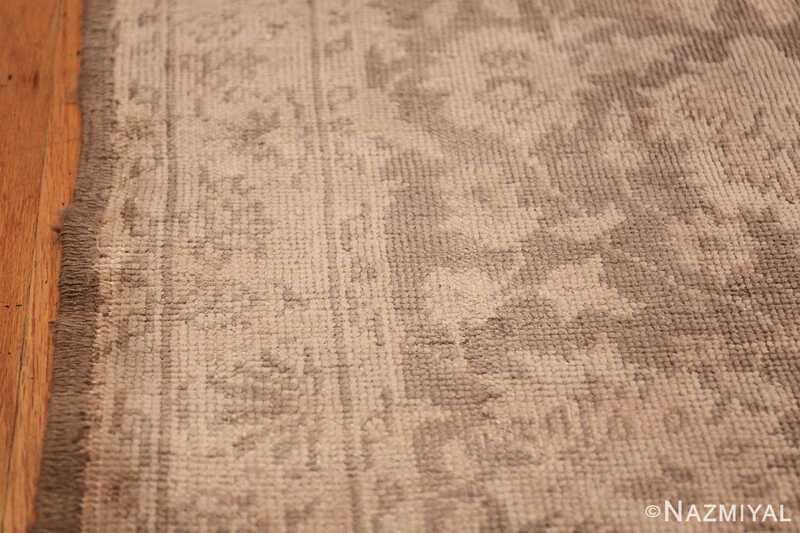 It does not have formally bracketed corners, which makes the vintage Turkish Sivas runner appear to be an all over design in the field. 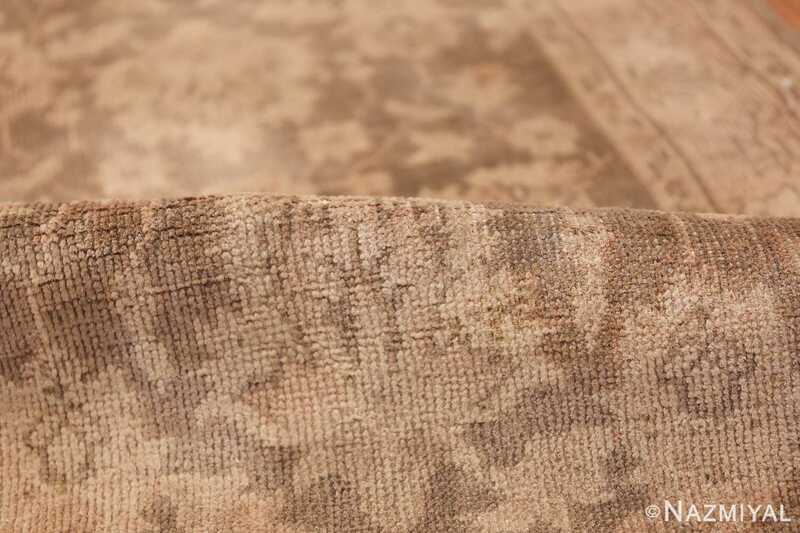 The background of the formal borders is lighter than the background of the field, which makes the field stand out, which draws the eyes to the central line of the Turkish runner rug. This will have the effect of making the room space appear to be much longer that it actually is. 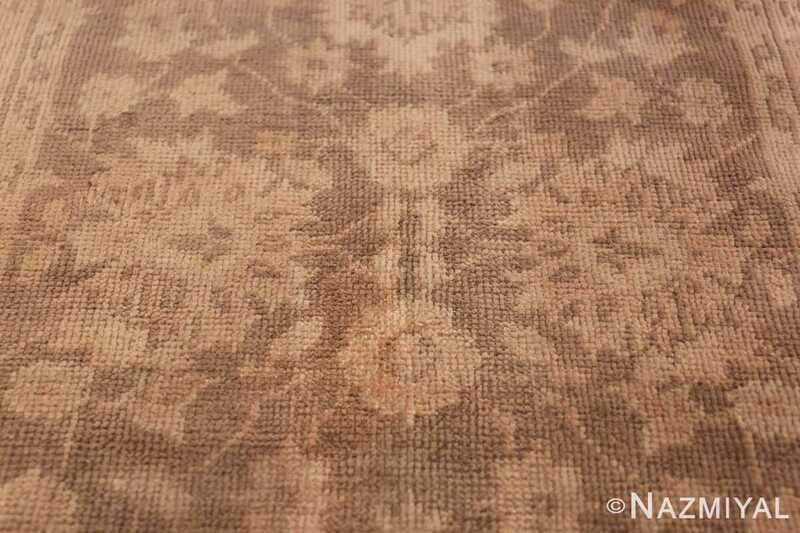 The soft earth tone colors of the vintage Sivas runner are quite decorative in nature. 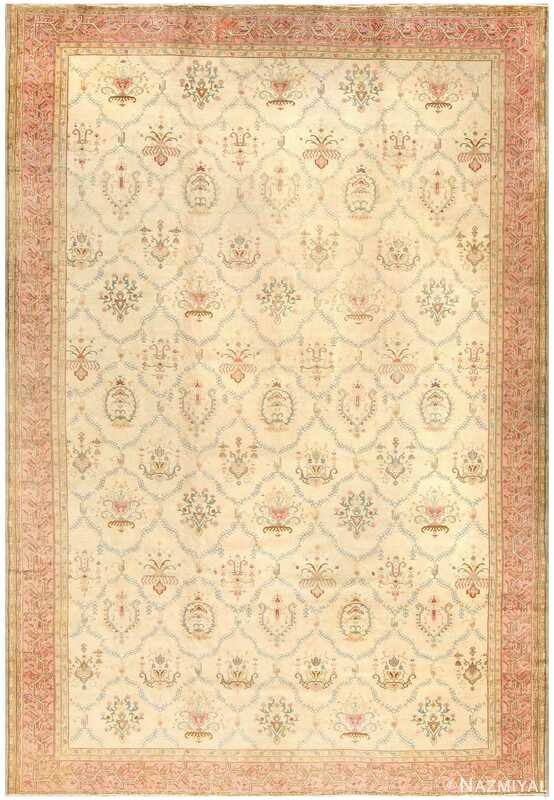 The use of tone on tone makes the design elements appear to be understated. This means that they will highlight the best elements of the room’s interior decor and add a touch of warmth that will not be overpowering. 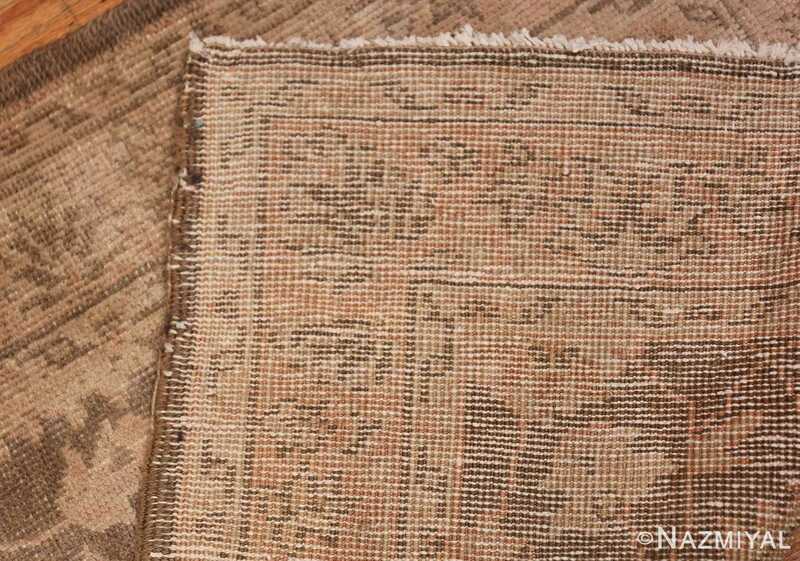 It will fill the space and add visual interest, as well as a softer visual texture that can help larger spaces feel a little cozier. 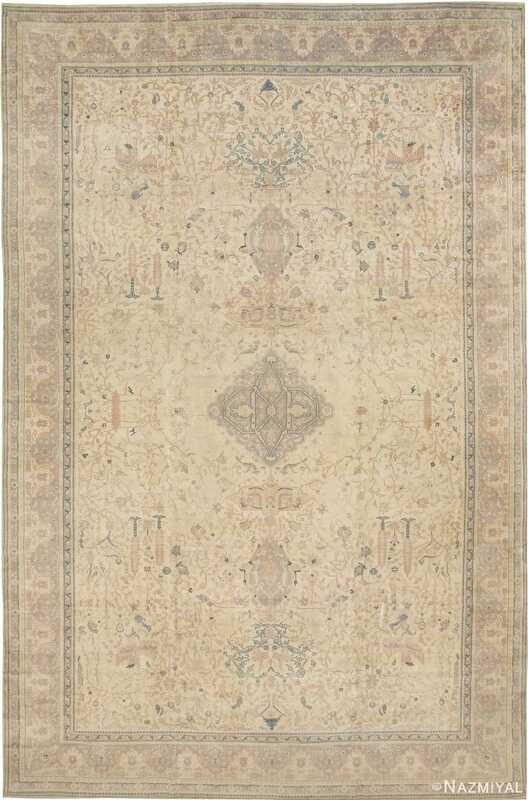 This is an excellent addition for a space that calls for a sizable long and narrow runner rug that is not overpowering.